As announced by EA SPORTS last week, Free-To-Play FIFA has arrived for PC, giving fans a new way to play the beautiful game! As a live service FIFA World connects to the pulse of the sport with dynamic challenges, social features, and fresh content that reflects the latest from the real world of football. Connect with your club, your friends & the pitch like never before – it’s always a new FIFA World. Register for Global Open Beta now. Fans chose how they play; with casual mouse controls, traditional keyboard or core gamepad devices. Fans can lead their club and country to victory in Online Seasons, or build their own Ultimate Team and compete against their friends and the community in Online/Offline Seasons and in featured tournaments. Created by the award-winning development team at EA Canada, EA SPORTS FIFA World is designed to be easy to pick up and play for all fans. Featuring the award-winning EA SPORTS FIFA HD console gameplay, FIFA Ultimate Team, and a host of new features, the game delivers a fun and immersive football experience that is synonymous with the FIFA franchise. With over 16,000 players and 600 clubs from over 30 officially licensed leagues, fans will have access to their favorite athletes as they compete in both online and single player modes. The Social Hub is the center of FIFA World where fans can share, like and comment on game content with their friends. 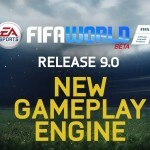 With new content such as Featured Tournaments and Limited Time Accomplishments, updated throughout each week, and a real time Transfer Market, where fans can manage their in-game items, FIFA World is truly a live game. Built to be enjoyed on average spec laptop computer or desktop personal computers, fans with a broadband internet connection can now play a fun, free, and authentic football game. 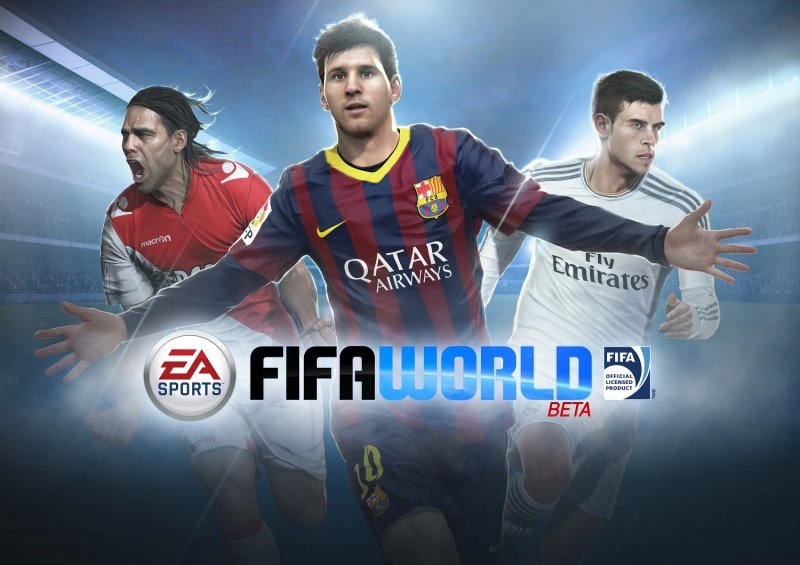 You can start building your club in EA SPORTS FIFA World for free by registering here. FIFA World Ultimate Team Build your own unique club that plays your style of football and hit the pitch to compete in online and offline modes. Play the 24/7 transfer market and strategically outwit other gamers in buying; selling and trading the world’s greatest superstars to create your Ultimate Team. League Mode Lead your favorite real-world club to victory in Online Seasons and experience the drama of promotions and relegation as you battle against other community players to climb the league tables and reach the top flight. Accomplishments Complete challenges and earn rewards for in-game tasks revolving around gameplay; transfer market; tournaments; online play and more. Check FIFA World daily for limited time accomplishments that reflect activity from the real world of football and accomplish to earn coins; packs and XP! Accessible Controls Play with traditional gamepad devices; keyboard controls or try the new mouse based controls that are simple to use; but a challenge to master; and offer first time FIFA players and casual fans an easy and intuitive way to play. The choice is yours! EAS FC Social Hub Capture and share spectacular goals and beautiful moments you create on the pitch and instantly post them to the in-game social feed. Keep up with your friends’ in-game activity and debate and discuss the latest results and highlights with the community. Single Player Tournaments Enter your Ultimate Team into single player tournaments and challenge football clubs from around the world! Win trophies and you'll unlock new tournaments while earning rewards to boost your squad. Feature Tournaments Every week new featured tournaments put your Ultimate Team in the spotlight; challenging you to beat some of the world’s best clubs to earn even bigger rewards for your Ultimate Team including coins and packs! Match Invites Challenge your friends to an Ultimate Team showdown and see who has what it takes to rule the pitch. Player Impact Engine The physics engine is built to deliver real-world physicality in every interaction. Experience an infinite variety of natural and believable outcomes in every contact. Players feel resilient on the ball; push and pull during the fight for possession and recover from light challenges more easily; preserving their natural momentum. Pro Player Intelligence CPU players are infused with self-awareness and aptitude; enabling them to make decisions based on their own skills as well as the strengths and attributes of their teammates. Additionally teams will vary their attack based on the strengths of their players on the pitch and the weaknesses of opposing players; creating a more authentic experience and greater variety of matches. Tactical Defending The defending mechanism places equal importance on positioning; intercepting passes and tackling at the right moment. Tactics and timing are crucial. Precision Dribbling Enjoy new ways to take on opponents; more time on the ball to make decisions and complete control of the pace of the game. Utilize close dribble touches in tight spaces; on the wings and even while fending off an opponent. Complete Authenticity 31 officially licensed leagues; more than 600 clubs and 16000 players.